Choosing the cable TV company for your home. I had been a Comcast customer since the very early days of broadband, back when Comcast was still called MediaOne RoadRunner. I was relatively happy with the service until the transition to all-digital. Although I have a digital TV with a digital tuner, I did not have a set-top box - the way I saw it, why have yet another remote control laying around. Without the set-top box, sometimes the HD channels came in and sometimes they would pixelate and disappear. 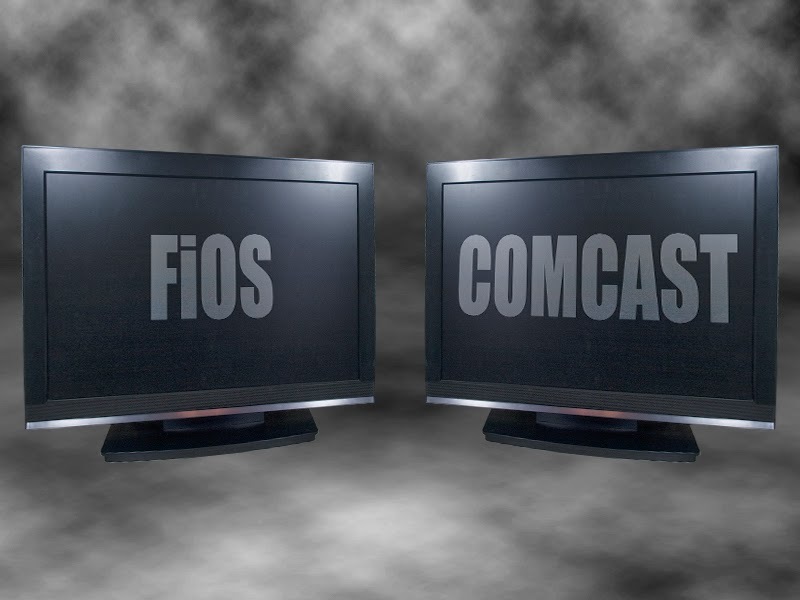 I had called Comcast support on a number of occasions and the was told (most of the times) that as long as I had a digital tuner, the local stations should work fine. Since I didn't want to upgrade my service if it was failing at the basic level, I turned to my Facebook friends to find out what they recommended. The resounding response was FiOS. When I finally made the upgrade, I was very happy I did. I have a set-top box in my living room, but the other TV in the house is connected directly, without a set-top box. I have yet to see the picture become blocky, freeze and then go black the way I had grown accustomed to with Comcast. I never had a bad experience with Comcast support and they did the best they could to improve the signal quality, but it just didn't seem possible to get a 100% clear picture. I get most of my preferred programming from services such as Netflix, but still rely on cable providers for programming that is not yet available through streaming services. I look forward to a time when it will be possible to completely cut the cable, as I discussed in the blog "Is the Demise of Pay Cable Near?"